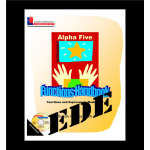 This package contains the following book in PDF format. 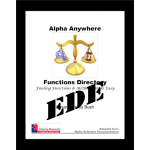 This book is compatible with both Alpha Anywhere and Alpha Five V11. This is part two of a three volume set. 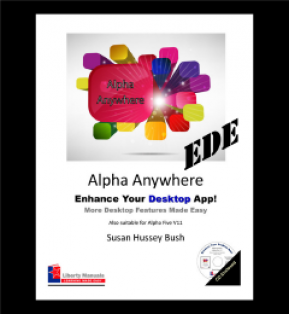 Get Alpha Anywhere Made Easy, Enhance Your Desktop App! and the Report Writer and save. This is part two of a two volume set. Get V11 Alpha Five Made Easy and Enhance Your Desktop App! and save.